Tai Chi for Health Is for Everyone! Tai Chi for Health programs are accessible for just about anyone, they are easy-to-learn; safe and effective for health. 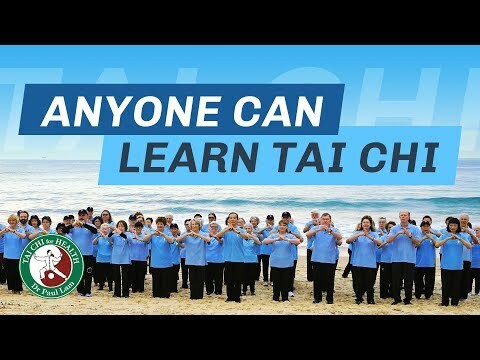 Dr Paul Lam and a team of tai chi and medical experts have created these programs by combining authentic traditional tai chi, up-to-date medical knowledge and teaching methods.The programs are designed to empower people to improve health and wellness. They are shown by studies to be safe and effective. That is why the Centers of Disease Control and Prevention (cdc.gov) and arthritis foundations around the world recommend one or more of the Health programs. You might ask, “Why create different programs? Couldn’t we just use TCA for all conditions?” Yes, you could, as TCA would be safe and effective for most chronic conditions. However, there are several reasons why we created different programs. It is like a tailor-made shirt; while a large shirt would fit most people, one that’s tailor-made fits better. Thus, each program has its special feature. For example, TCA is focused on healing; plus, the tai chi forms, within this program, were specifically chosen to be safe—while effective—for people with arthritis. Therefore, this safe, healing focus also suits a group of conditions with challenges similar to those of arthritis. Tai Chi for Diabetes (TCD), on the other hand, focuses on a gentle, progressive increment of physical exertion. This gentle progression minimises the possibility of hypoglycaemia—a side effect that people with diabetes might encounter when they start new exercises. TCD also employs acupuncture points (energy points) for diabetics, based on traditional Chinese medicine. Another advantage of having different programs is to provide you with choices and diversity of tai chi sets. Important Note: To ensure the quality and ethical standards of our programs, Dr Paul Lam Tai Chi for Health Institute has listed all its authorized Master Trainers, Senior Trainers, as well as instructors trained and certified by them on its website. Any enquiries please contact us at service@tchi.org. How to become a certified instructor? and to update?